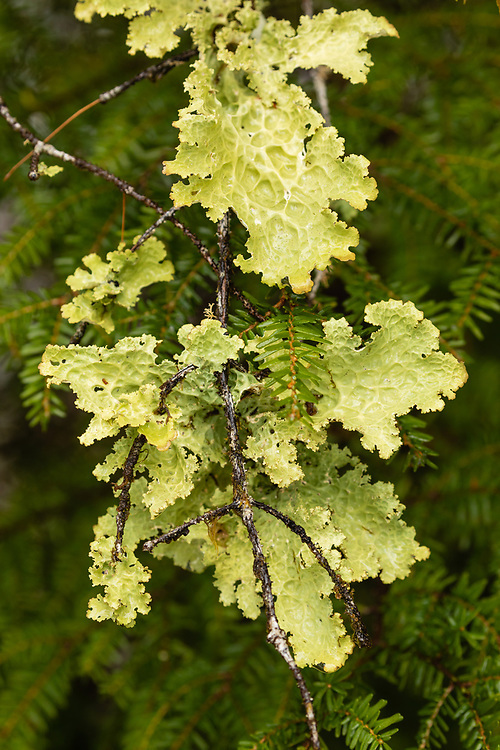 Cabbage Lungwort (Lobaria linita) growing on branch of spruce tree in Cordova in Southcentral Alaska. Spring. Morning.